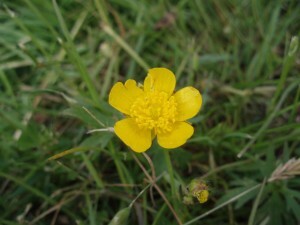 Buttercups, croquet, fox spotting, backgammon cupcakes, knitting, sunburn, buttercups, reading, differentiating Grahams, “Don’t touch the table!”, long walks, kidnappings, more croquet, Shepherdess Pie, crow scarers, buttercups, triple x, eye strain, “It’s all lovely”, not killing anyone, custard on the side, kite flying, Circus Ferrel, Boo, banoffee, chopping wood, burning wood, hammock time, The Family Hull, “It’s all done with magnets”, mobile cubing, M25 queues, buttercups, soggy footwell, yarn shopping, porch collapse, cricket, buttercups, double dutch, volleyclub, scrambled Vs, longer walks, poker, needle breakage, crumble, Bungay’s Got Talent, buttercups. This entry was posted in juggling and tagged Bungay, juggling on 30 May 2008 by fak. Sock wars is due to start on Friday, so I have been clearing the decks, knitting-wise. My long-term, stay-at-home project has been shelved in favour of finishing off some smaller items pre-war. I’ve managed to finish the socks I started last week (they’re only short), and am over halfway through a hat for Bungay (and to be recognised at the airport). I don’t really want to leave myself with nothing to knit tomorrow so have trawled Ravelry for a pattern to use up my newly acquired baby llama yarn (because how can you not buy baby llama when you have the chance). This evening will be spent finishing the hat and winding the wool for sock wars (along with swatching to achieve gauge before battle commences). I might even mow the lawn if I’m feeling adventurous. Hopefully it won’t be too late a night on Thursday (karaoke for a departing colleague) so that I can get a good start once the pattern is released (supposedly Friday lunchtime). British Gas are scheduled to be fixing what they mucked up/didn’t do last July which means an early start on Saturday for more knitting goodness. I know that there is at least one other sock warrior in the area and it would be rather amusing to be able to hand deliver knitted death, but there are faster knitters than me out there, so you never know. This entry was posted in knitting and tagged Bungay, knitting, sock wars on 7 May 2008 by fak.